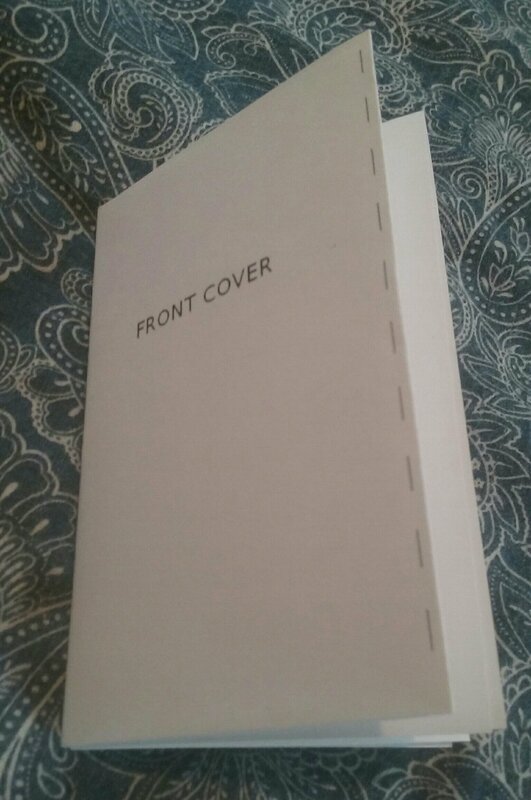 This is the first post in the new Chapbook category so I can link back instead of posting “how to fold one sheet of paper into a little book” instructions on every post. 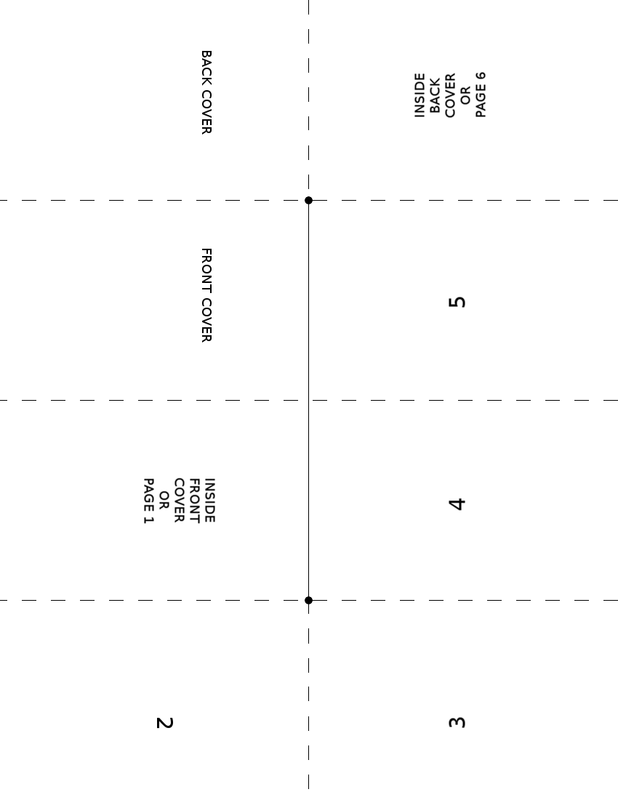 Please note: it is JUST a guide and your average home inkjet printer does NOT feed paper in precisely, so ALIGN YOUR PAPER EDGES (ignore the lines) as you fold. 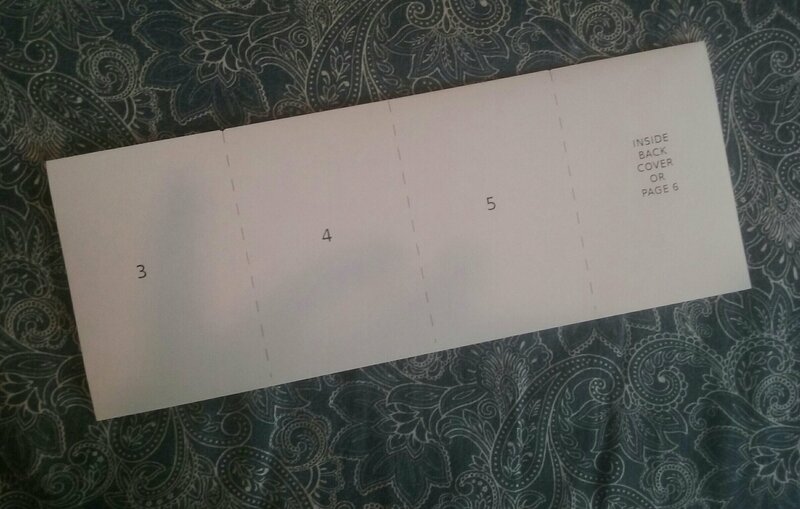 Okay, here’s how to fold: Fold paper in half lengthwise. Open it up and fold in half the other way. 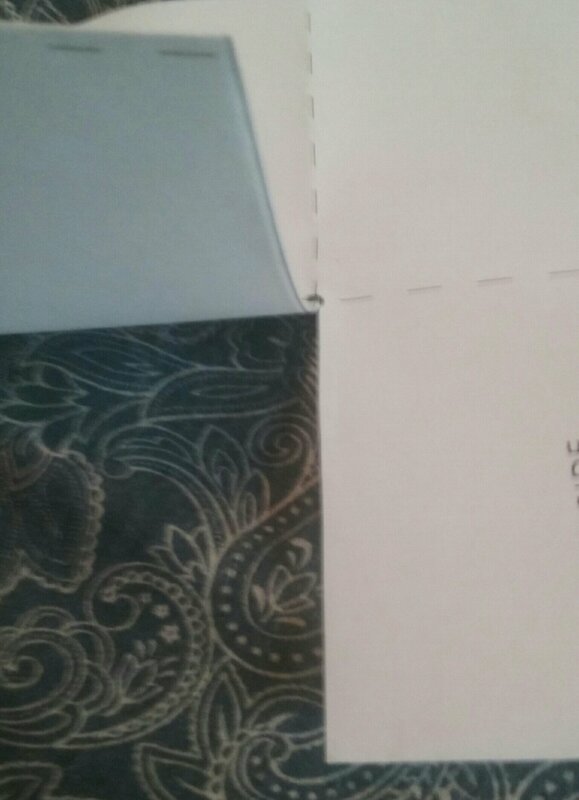 Fold in half again, but only pinch it in the middle (where the dots meet). Cut along the fold (on or near solid line) between the pinch fold (near dots). 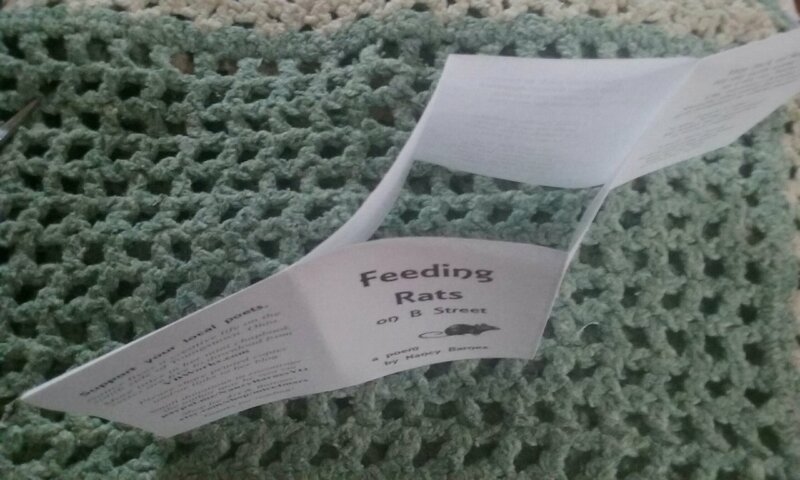 Open it up and fold it back in half lengthwise. Then pull the folded edges apart and flatten to align those folded edges with the outside edges. Another photo to help explain that pull apart thing. 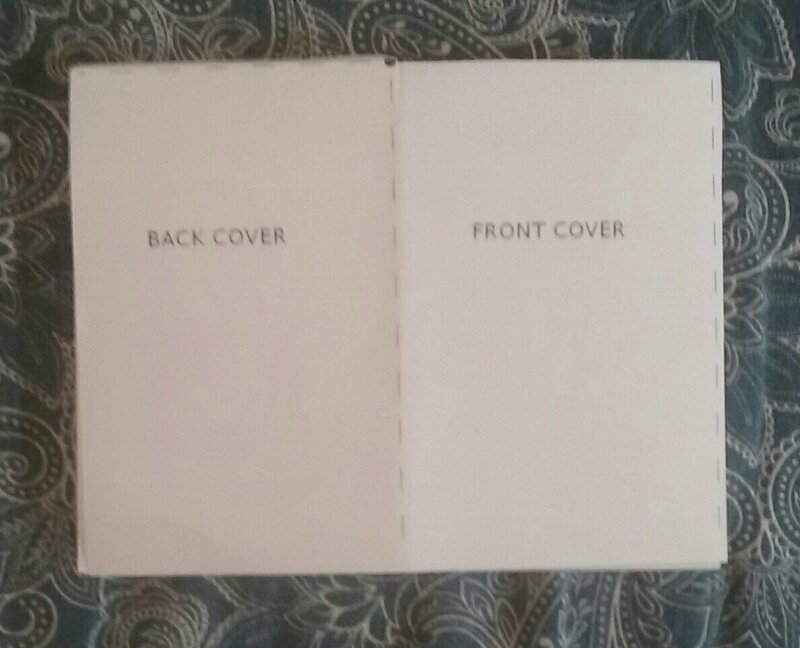 Fold in half with cover side out. Do NOT expect perfection. 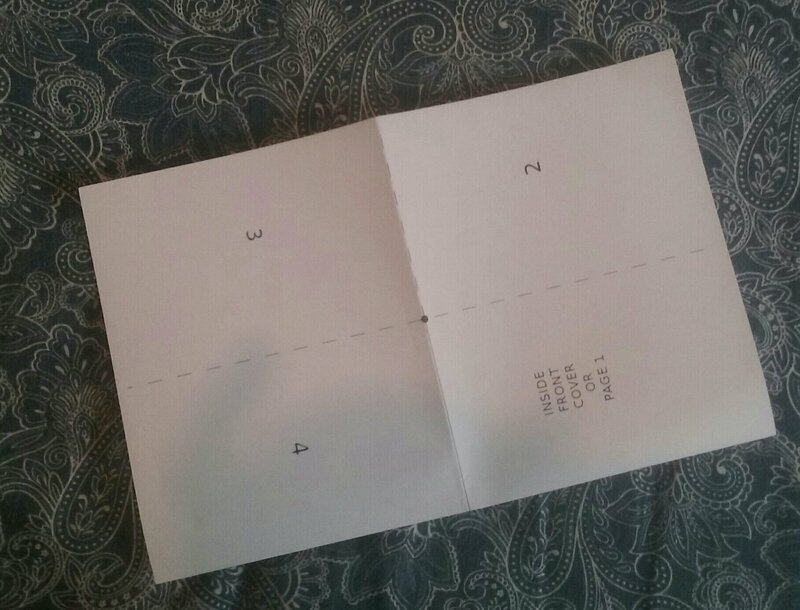 All edges will not perfectly align because it is a folded piece of paper. There is no stretch in the folds. Thin paper yields the best results. 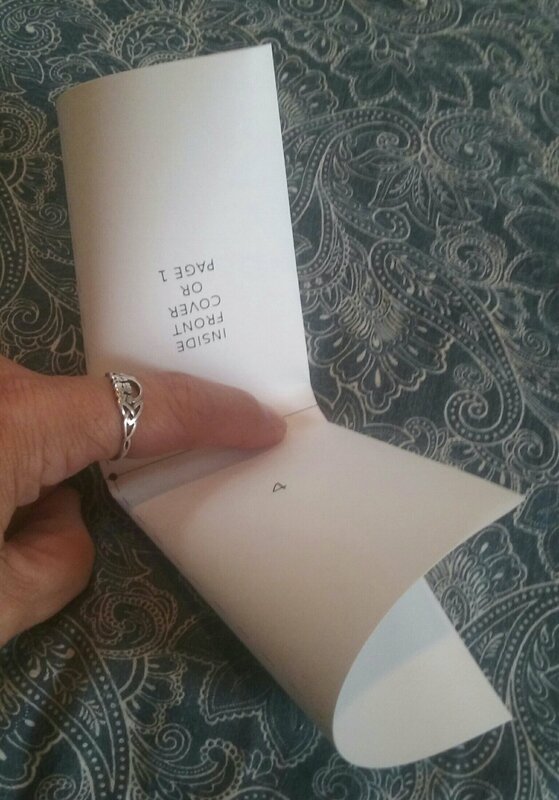 Now that you know how to fold a single sheet of paper into a mini-chapbook, you can make your own. Blank books made of plain paper are fun for the kiddies, too.